Geofeedia is a controversial social media monitoring tool that pulls social media feeds via APIs and other means of access and then makes it searchable and accessible to its clients, who can search by location or keyword to quickly find recently posted and publicly available contents. The company has marketed its services to 500 law enforcement and public safety agencies as a tool to track racial protests in Ferguson, Missouri, involving the 2014 police shooting death of Mike Brown. With the help of a public records request, the civil rights group found that Geofeedia had entered into agreements with Twitter, Facebook, and Instagram for their users' data, gaining a developer-level access to all three social networks that allowed them to review streams of user content in ways that regular users of the public cannot. 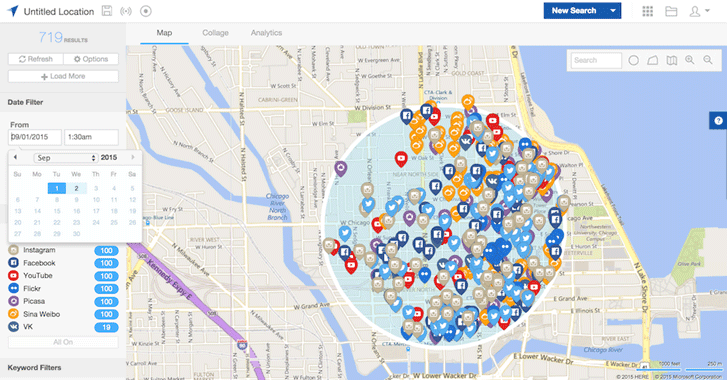 The Denver Police Department recently signed a $30,000 annual deal with Geofeedia. Facebook, Instagram, and Twitter have all moved to restrict access to Geofeedia after learning about the tool's activities when presented with the study's findings. The ACLU is concerned that Geofeedia can "disproportionately impact communities of color" by monitoring activists and their neighborhoods. "Geofeedia has in place clear policies and guidelines to prevent the inappropriate use of our software; these include protections related to free speech and ensuring that end-users do not seek to inappropriately identify individuals based on race, ethnicity, religious, sexual orientation or political beliefs, among other factors." Facebook said in a statement that Geofeedia only had access to publically available data, while Twitter said it was suspending access shortly. The ACLU is encouraging social media companies to adopt clear, public, and transparent policies prohibiting developers from exploiting user data for surveillance purposes.